My most recent finished project is Sarah Johnson’s Rusted Root knitted with Rowan Bamboo Tape. It’s a great pattern and I highly recommend it. I also really enjoyed knitting with the bamboo tape; however, it’s not suitable for knitting in the round because it’s quite heavy and the ends need to be woven into the seams. 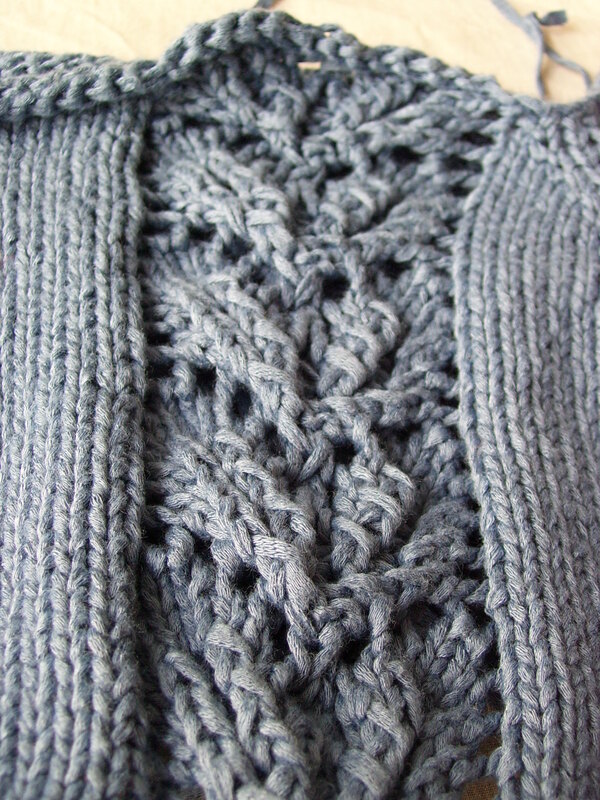 As you may know from previous projects, I generally need to add length to patterns, which was a bad idea for this particular project with this particular yarn – good pattern, good yarn, bad combination. When I put it on first thing in the morning, it fits really well. After wearing it for a day, it tends to fall down and slump around the waist where your jeans/skirt/trousers start . The first time I wore it, it slumped out around the belt buckles of my jeans and the second time it slumped at the waist of my skirt and both times it sort of creased from sitting down. It’s difficult to explain as it doesn’t grow outwards, but slumps in a similar way to tucking a shirt in and pull it out again; you can kind of see from the picture how it slumps down. I’ll probably shorten it at some point because I think that will really help. Despite feeling really frumpy at the end of the day, I really love it; the yarn shows the lace pattern really well and it’s a great colour (it’s Wode and I saw some at Abakhans today). 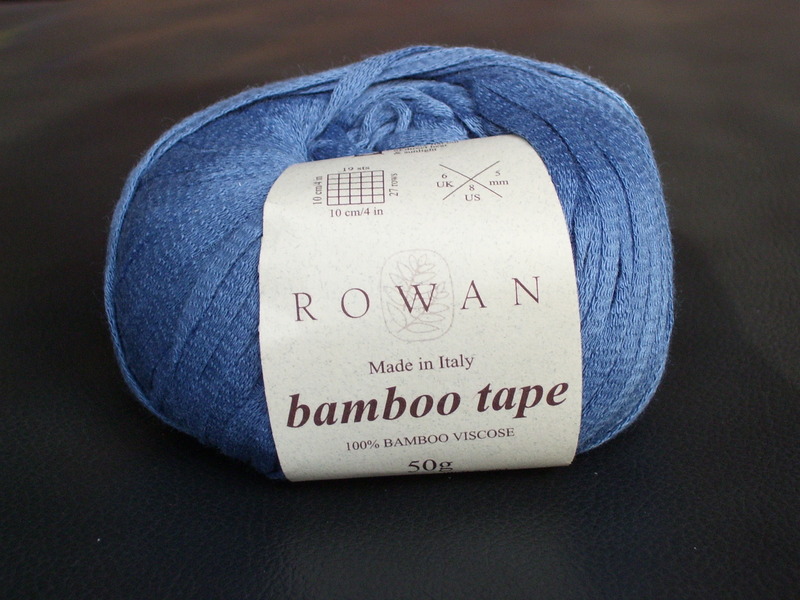 The Rowan Bamboo Tape has been discontinued and on sale for the last few months, packs of 10 for £6.99, which is a shame, the being discontinued that is, not the reduced price. Needless to say, I’ve stocked up on the bamboo, but have learnt a valuable lesson on the type of construction a garment needs to keep it’s shape.